The San Bernardino medical malpractice attorneys at Milligan, Beswick, Levine & Knox LLP represent the families of medical negligence and wrongful death victims in San Bernardino and Redlands. We understand how profoundly a fatal injury affects a family, so we fight aggressively work to get you the best possible results in court. However, it’s important to note that not every medical malpractice case involves wrongful death. Even something as simple as being given the wrong medication, or the wrong dosage, can be grounds for a lawsuit. While no amount of money can ever replace a lost loved one, taking legal action can help hold negligent actors accountable for the harm they cause. 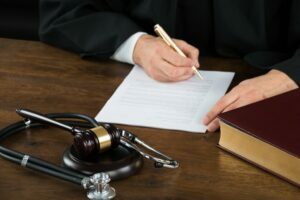 With the help of a medical malpractice attorney, your family can receive the financial support it needs to move forward and may even prevent the same kind of harm from happening to someone else in the future. Medical malpractice actions are often very complex. But, our Redlands medical malpractice lawyers have the resources to handle them successfully. We work with highly-regarded medical experts and investigators to build strong and effective cases. These experts are critical to helping judges and juries understand exactly how your doctor failed to live up to the standard of care set by other similar providers in the medical field in San Bernardino and Riverside. When a loved one has been killed or when you believe medical malpractice has occurred, talking to an attorney is a best way to get the legal answers you need. To contact our team of Inland Empire medical malpractice attorneys at the Milligan, Beswick, Levine & Knox LLP, please call us at (909) 798-3300.